The locals call it “the last paradise”, and Lord Howe certainly does have that South Pacific kind of feel to it. A vivid green volcanic island that rises dramatically out of the sea, you’d almost expect a ’60s-era Elvis to be wearing a lei and swinging an acoustic guitar here. But despite first impressions, Lord Howe is not Hawaii. For starters, it’s just 10km long and 2km wide, and it is small on the population front, too – just 400 visitors are allowed on the island at any one time, making any stay feel secluded and exclusive, perfect for a romantic getaway. And while it’s just two hours from Sydney or Brisbane, it’s not easy to get to. QantasLink flies out of Sydney most days, from Brisbane on weekends and weekly from Port Macquarie during peak season, but seats sell fast. Book your seat well in advance. So why is it worth the effort? Because it’s truly unlike anywhere else in Australia. To be honest, we were surprised Lord Howe came in top of the list after our panel had voted – we were expecting a more predictable winner such as Uluru. But Lord Howe could win on looks alone. 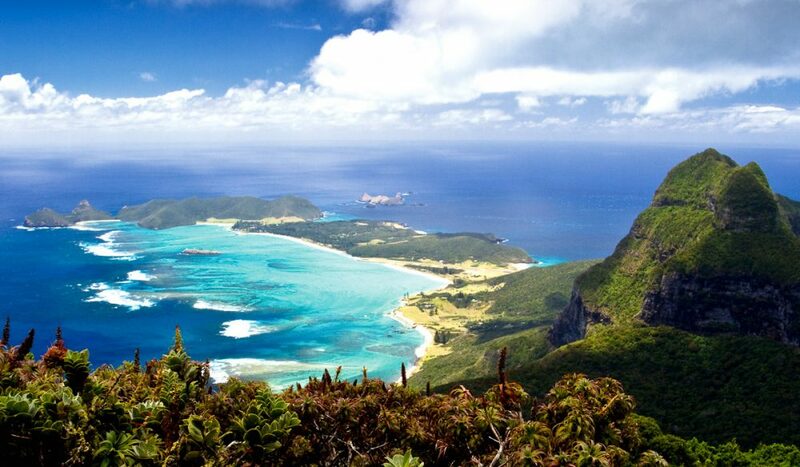 Defined by the twin peaks of Mounts Gower and Lidgbird at the southern end of the island, Lord Howe is one of the prettiest islands in the world. On the western side of the island, a crystal-clear lagoon laps onto the aptly named Lagoon Beach, which is sheltered by a long stretch of coral – the world’s southernmost reef. There are 11 beaches on the island, with evocative names such as Blinky Beach and Lovers Bay, all with lovely golden sand; many are perfect for shell collecting. It’s an ideal snorkeling and diving destination, too, due to the clarity of the water. The eastern side of the island in particular offers excellent surfing and fishing opportunities. Ned’s Beach is home to huge kingfish, which swarm around tourists’ legs at feeding time. Perhaps the best thing about the island is that it hasn’t been dominated by a major resort, so the township is full of character. All of the accommodation here is owned and run by small operators. You can rent out a self-catering apartment such as Leanda-Lei or Ocean View Apartments, stay in a family-run guesthouse at Pinetrees, or go all-out on luxury accommodation at Arajilla or Capella Lodge (where our cover was shot). Oh, and twitchers will find 129 native and introduced bird species here. No wonder it’s one of just four island groups to be included on UNESCO’s World Heritage List. 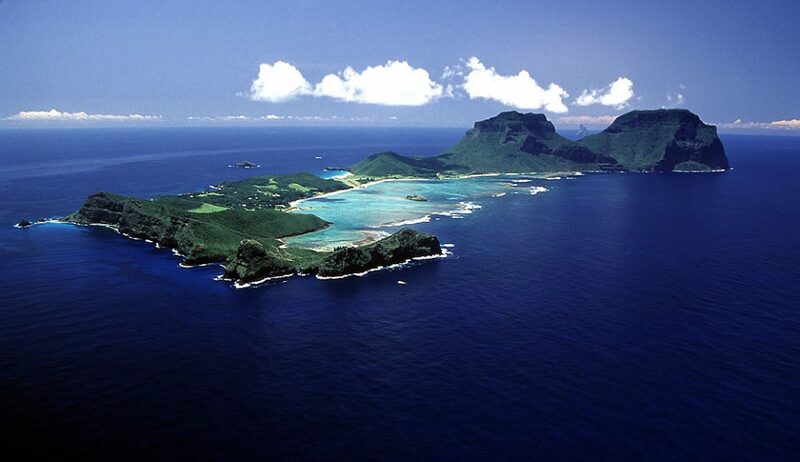 I really can’t believe that Lord Howe made it too #1 it looks like Never Never Land gone wrong…. Good to see QLD had 17 entries. I must admit where is the Sunshine Coast represented… Australia Zoo is the best Zoo in Australia and Noosa… Thats all you need to say – Amazing!!! Good List a shame tho! Thanks for your comment Bruno and whilst Australian mainland destinations are some of the best in the world it is sometimes just nice to get away to somewhere without a smart phone or laptop. I like Penny can’t wait to get to Lord Howe as I have been invited to my niece’s wedding and I too hope it will be truly magical for her and her new husband. Thanks for the updated list, but I haven’t finished the previous one yet! I know it started with Kakadu. Is it still accessible? Maybe I’m weird but I do like to complete a list once I’ve committed to it. So yes, I’ll have to live to be a few hundred years old but that’s okay too. I love the new list too. Lord Howe, how nice.